Hi everyone, I thought it's about time I introduce myself! 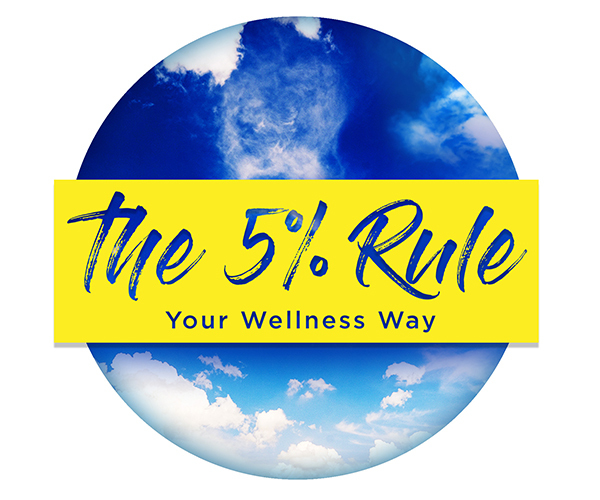 I'm Kirsty and I'm the founder & Wellness Coach at The 5% Rule. Since I can remember I've always wanted to help and inspire people be the best version of them self. I'm so passionate about life and people achieving goals realistically while also developing a healthy and loving relationship with them self. I've had many jobs that have placed me in environments to encourage, mentor & develop the people around me. I've also personally walked the path of self hate, self judgement, unhealthy self talk, feeling lost and also starting and stopping so many goals. I've had many up's and down's, as everyone does, but now I understand what it takes to keep picking yourself up, growing and becoming a better and stronger person. Where did my Wellness Coaching journey start? Well I've always been a very positive person and trying new things to better myself. But back in 2015 I was at a stage in my life where I was searching for something more. I felt like I was existing not living. I wanted to grow and teach but I didn't know what or how?!? After searching and searching I came across Wellness Coaching and something inside of me lit up. I didn't know what the outcome would be, all I knew was I had to do this course. So that was the start of my journey to become a qualified Health & Wellness Coach through Wellness Coaching Australia. Little did I know what the next 2.5 years would hold for me. 2015 broke my heart... My Dad passed away, 3 months later my partners Dad passed away and to throw in the mix of all this emotion and stress I had surgery. Roll on into 2016 and my partner of 6.5 years and I separated. All while this was going on I was also slowly chipping away at my course. Half way through the course I remember reading somewhere that we teach what we need to learn. Now after going through what I went through, I 100% agree! Everything I was leaning was helping me build back my life and then understand what I could do in the future when challenges are thrown my way. Then my learning shifted to I want to help people going through the same thing. Everyone goes through life changes and then struggling with that negative voice in their head. Starting and stopping goals again and again.There are also so many people out there living a life that they are happy with, but would love to get an extra 5% out of life for them. Everything I have done to rebuild my life and continually grow has been small bite size pieces. Otherwise it wouldn't have been achievable! Each day I try and practice self love, and the days I don't love myself I sure as hell know about it. Each day I try and nourish my mind. Each day I try and act from a place of love. Each day I try. But I am human and I'm not perfect. I still have days I struggle, and those are the days I remind myself to keep trying. Roll on into 2017 and I'm now a qualified Health & Wellness Coach. I'm better, stronger, healthier & happier than I've ever been. But to be honest I still have hard days, as all of you reading this do too. But I now have tools, routines and self love practice's set up to help me on those hard days. Working with me as your coach I will go through every single tool I have to help you too. I ask all of my clients "Are you 100% committed to the journey? ", because if you are you can do anything. I believe in you. You may not believe in you yet, but you will. I will be your number 1 cheerleader and motivator. I will coach you through the obstacles and hard times, but you will be doing the hard work, after all it's your journey not mine. I love watching clients self love grow, after all the world needs more love! It also inspires me to watch clients work through their goals and burst through the other side. It's so empowering to the client! Thank you for taking the time and reading my journey. I'm just so grateful to have an opportunity to share, motivate, coach and inspire other people on their own wellness journey.